BS OHSAS 18001 sets out the minimum requirements for occupational health and safety management best practice. BioLogiQ provides a full range of Occupational Health and Safety Management System (OHSMS) and OHSAS 18001 services to minimize risk and liability, reduce cost and improve efficiency and productivity. Work with us to bring OHSAS 18001 into your business and achieve the maximum return for your employees, your operations and your customers. A well-planned and effective implementation of OHSAS 18001 will provide you with a systematic approach to get to grips with health and safety and embed safety as part of the culture of the organisation. It should also enable your organisation to quickly recoup the costs associated with this process and to go on realising the cost savings associated with increased productivity, prevention of ill health and injury, improved regulatory compliance and a reduction in liabilities associated with poorly managed activities. In addition, there are the reputational benefits and enhanced credibility associated with third party verification of the quality of your Occupational Health and Safety management processes. We can help you with any level of advice or assistance for this process, from the development of specific system elements, individual requirements or training programs to a full systems development and implementation. 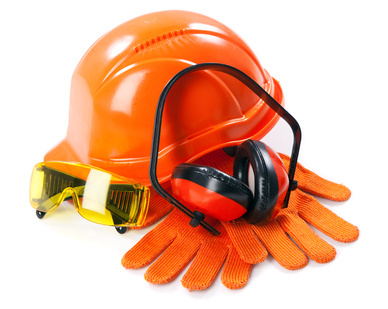 What are the steps to certified health and safety management? BS OHSAS 18001 is a framework for an occupational health and safety management system and is the right choice when it comes to identifying and managing occupational health and safety risks and hazards. It helps you put in place the policies, procedures and controls needed for your organisation to achieve the best possible working conditions, aligned to internationally recognised best practice. OHSAS 18001 provides guidance to help you design your own health and safety framework – allowing you to bring all relevant controls and processes into one management system and it can be adapted to all sizes and types of organisations to help eliminate or minimize operational risks and hazards. It is designed to help you create the best possible working conditions for your organisation – helping you to meet legal, industry and customer requirements. We help you understand and apply BS OHSAS 18001 to your organisation for safer working conditions, improved performance and new business opportunities. Contact us to discuss the best way to get started with OHSAS 18001 and discover how health and safety management is the right choice for your business. BS OHSAS 18001 doesn’t just protect your staff – it also reassures stakeholders that you take corporate responsibility seriously and can give you an extra competitive edge. Every organisation has different hazards and risks and each one is at a different stage with their health and safety management. This is why we propose customised OHSAS 18001 packages which include only the products and services that your business actually needs, helping you to cut the cost of unnecessary products or services and to hone in on your specific health and safety challenges. We will work with you develop an OHSAS 18001 Project Plan which utlilizes the systems you already have in place and focuses on the elements you are missing. In close collaboration we will help you to identify and minimize health and safety hazards and risks to reassure staff and customers, enhance brand and image, and achieve preferred supplier status. Pre-certification audit. First we review your readiness for assessment by checking if all the necessary OHSAS 18001 procedures and controls have been developed. Where we find gaps, we work with you to close them. Once all requirements are in place, we then assess the implementation of the procedures and controls within your organization to ensure that they are effective as required for certification. Certification and beyond. When you have passed the certification audit you will receive a OHSAS 18001 certificate which is valid for three years. Your consultant will stay in touch during this time, making timely visits to review your system to maintain its effectiveness and exploit opportunities for improvement. Whether you’re starting the certification process, scoping out your health and safety management system or just need to discuss options for your organisation, contact our expert team to guide you through the process.